Let's Feel 5 Elements ✕ 5 Senses & Let your creativity flow in March! Two experiences in one workshop! Have you ever had a moment of tranquility and calm in your memory because of the flows and smells when you're near the ocean? Experience the flow and fluidity of your body in the city - oasis at 513 Paint Shop. Let find stillness & fluidity in yoga with Minnie Cheung. 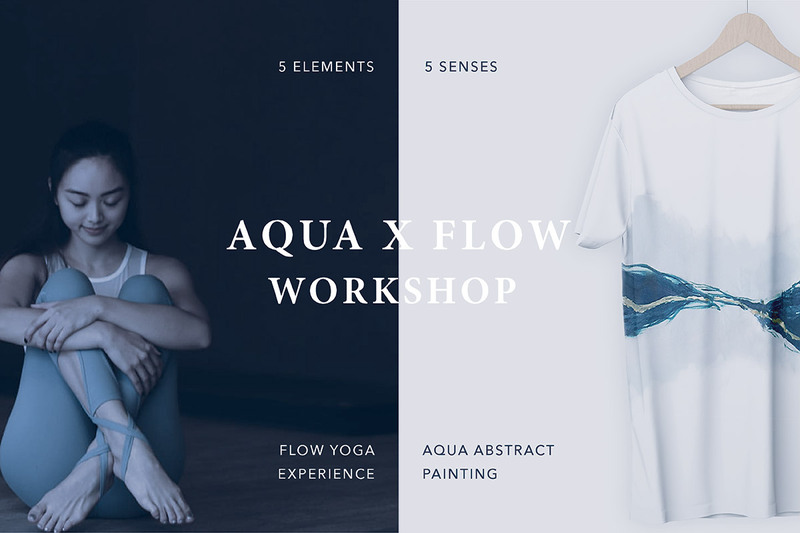 After practicing yoga, 513 Paint Shop will lead the participants to create an abstract art inspired by water, ocean and flow. Let the peace of aqua carry you away from the weariness of your daily routine. Minnie is trained at Awakened Life School of Yoga with philosophy and anatomy. Her teaching is rooted in values to help share the benefits of yoga, she enjoys teaching a beginners approach with careful attention on alignments and correct posture. Minnie provides a genuine outgoing attitude that is upbeat and uplifting. Primarily a vinyasa style teacher who is passionate about the use of breath to guide movement and usher in a meditative state, Minnie is passionate about using yoga and meditation to still the mind and combat anxiety. Dedicated to making her students feel at ease, and bring an element of fun into her classes, she seeks to encourage her students to turn inward and reconnect with their inner self, and believes yoga is amazing for your body and mind. 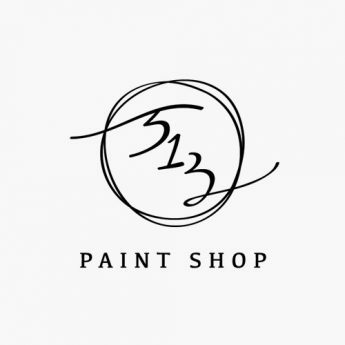 From pioneering as Hong Kong's first Paint boutique, 3 years on, 513 Paint Shop continues to expand its vision and passion for presenting customers with environmentally friendly, and health conscious paints and home decor that resonate with our belief in conscious choice living and artisanal craftsmanship. In 2018, 513 Paint Shop will bring in even more premium paint & wall covering brands to Hong Kong. Two experience in one workshop! All of the workshop including two sections, the Total Duration is 2 hours. Minimum numbers of participants required for formation of class. Should a class fail to meet the required minimum numbers, class will be cancelled & fully refunded.